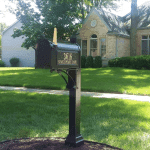 Mailbox Remedies built this custom classic brick mailbox in Homer Glen, Illinois. Featuring a Salsbury mailbox and a smooth limestone cap. 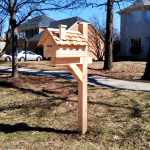 Mailbox Remedies provides homeowners with mailbox installation service, brick mailboxes and in ground basketball hoops. Mailbox Remedies serves Homer Glen, The Greater Chicago Area and parts of Northwest Indiana. 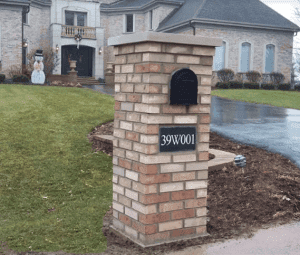 Learn more about our brick mailboxes. Mailbox Remedies is 5 star, customer rated. See our reviews.